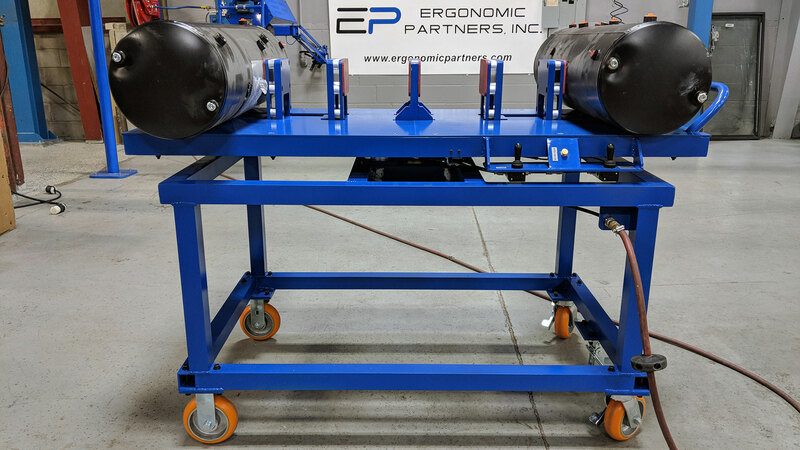 Ergonomic Partners built this custom portable lift table for lifting and pitching large metal sheets. 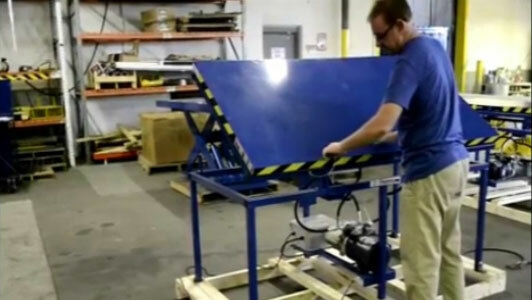 The table features: brush transfer panel tops, swivel lock/braking casters, multi-directional conveyor rollers, and pneumatic powered lift with pitch. 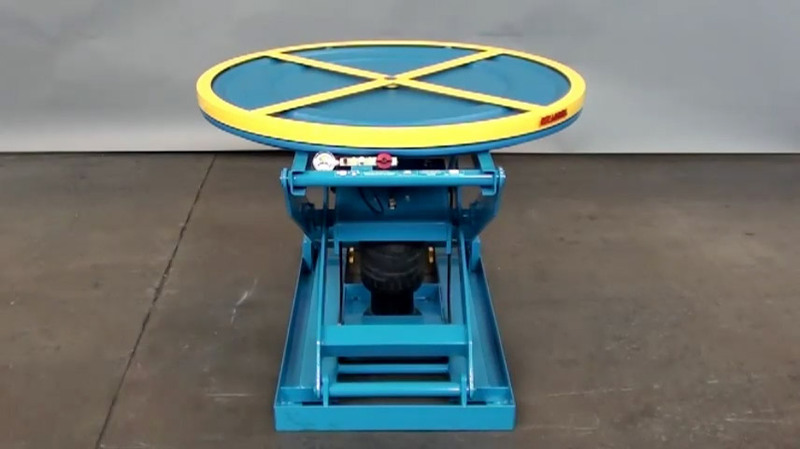 This two part lifting solution combines a conveyor and vacuum lifting device. 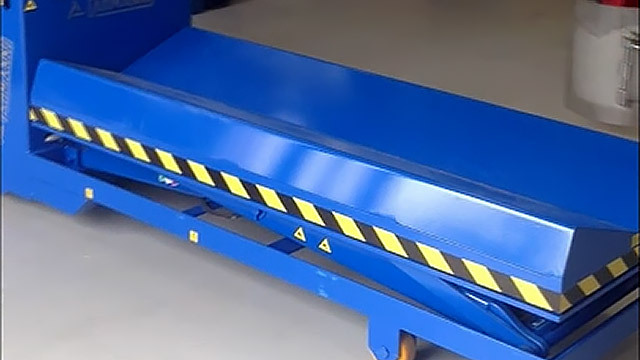 The conveyor was designed to keep the operator fully stocked with parts and deliver a full pallet to the front of the line; while returning an empty pallet out of the way. The lifting tool assists the operator by lifting up the part and rotating it to the orientation needed to install on the skid steer. 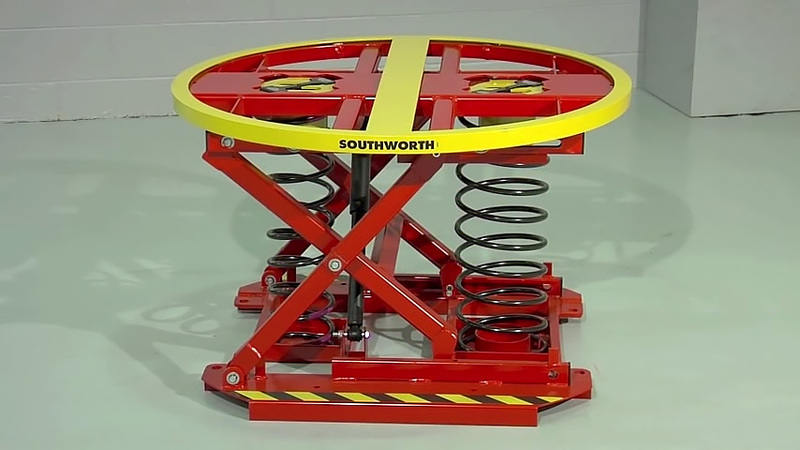 We manufactured this table to display the differences between the internal and external Dyna-Lift kits. Buy these systems online. 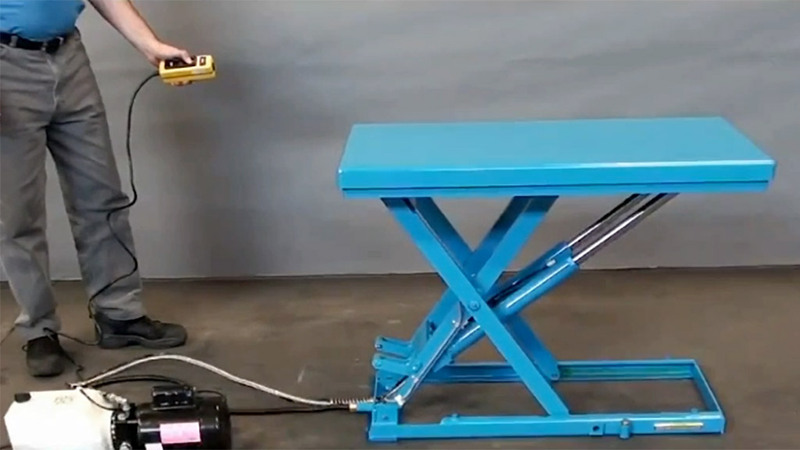 Overview and features of the Dyna-Lift kits that convert tables, work benches or work tables into adjustable hight tables. 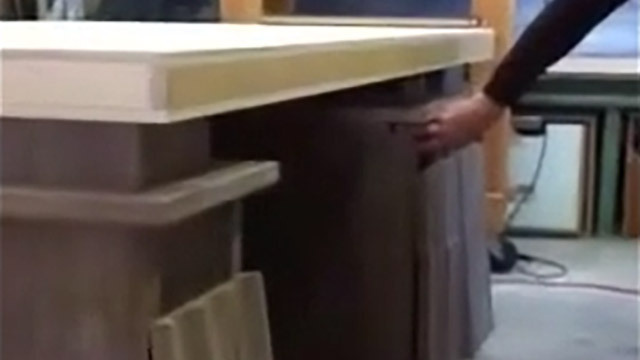 This large custom wood desk has an Electric Dyna-Lift Kit installed that raises the top and sides of the desk. The EZ-Off Lifter is the ideal choice for work places that need a pallet truck accessible lift table for loading and unloading pallets or skids. LoProfile LX Series lift tables are electro-hydraulic powered and provide heavy-duty lifting power with low profile functionality. 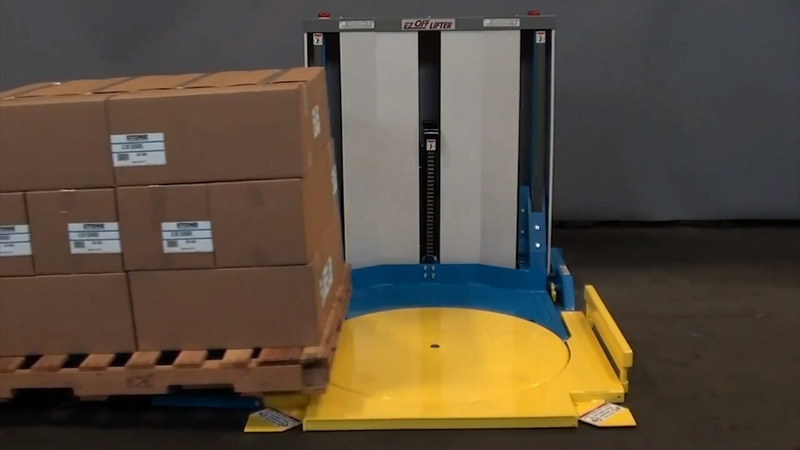 The goto solution for loading and unloading pallets. 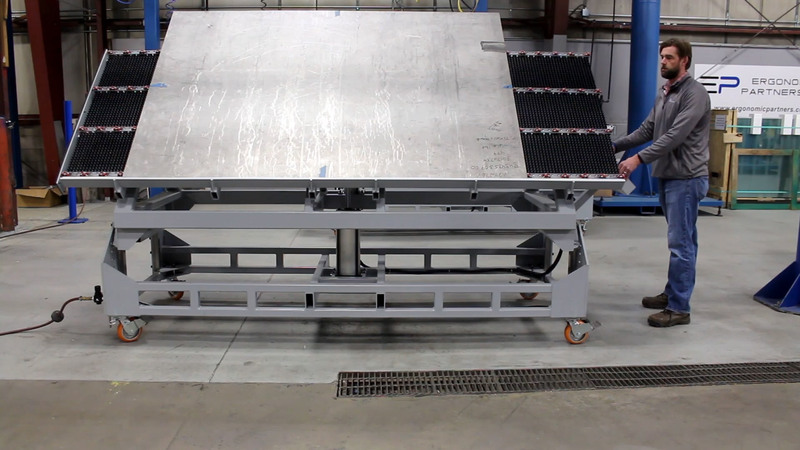 As the load weight changes, the lift table automatically adjusts, keeping the top of the load at a convenient working height. The Palletpal 360 helps keep workers safe and in an ergonomic position while unloading or loading pallets. 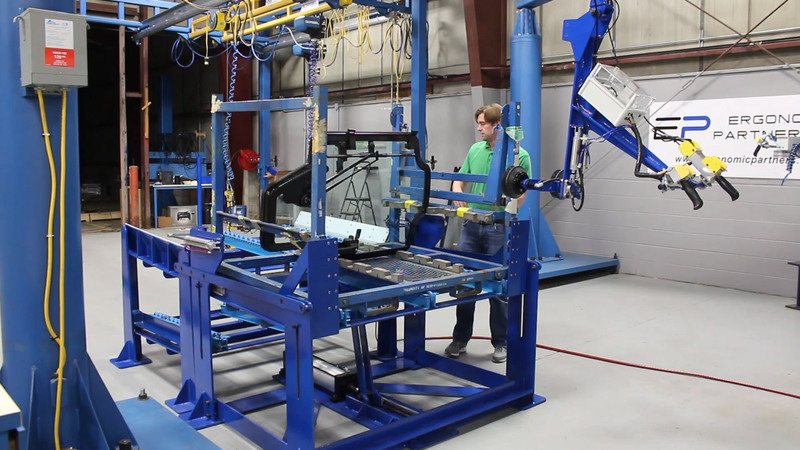 The Palletpal enhances worker productivity and reduces repetitive bending, lifting, twisting, and stretching. 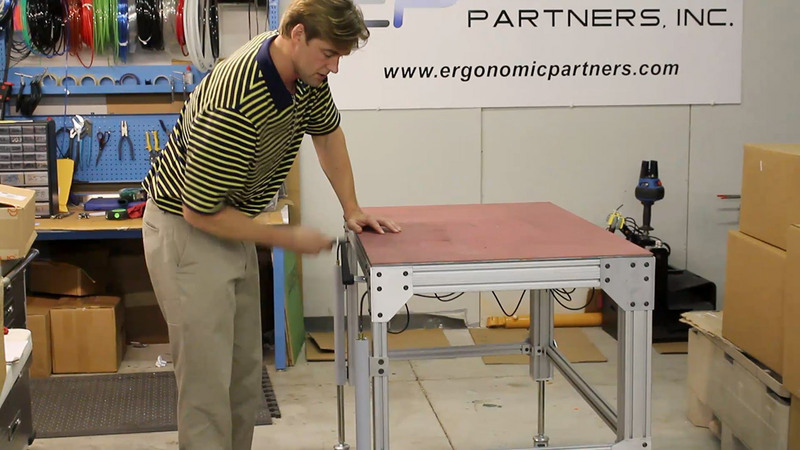 Ergonomic fixture table that rotates and tilts.